A lead guitarist for today’s quintessential heavy metal band, Kirk Hammett’s distinctive solos predominate every Metallica album from 1983’s “Kill’Em All” to “Load”, released in 1996. His intense style comprises a fusion of a blues-based hard rock attitude à la Jimi Hendrix, Jimmy Page, Jeff Beck, and Joe Perry, with classically tinged Euro-metal shadings in the vein of Uli Roth, Michael Schenker and Randy Rhoads. 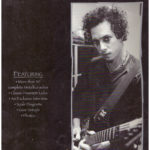 Throw in a touch of the modern stylings of Hammett’s former teacher, Joe Satriani -two handed tapping, whammy-bar tricks, artificial harmonics, arpeggios, and bizarre noises- and you get a sense of the foundation on which Hammett has developed his rich, incendiary style. 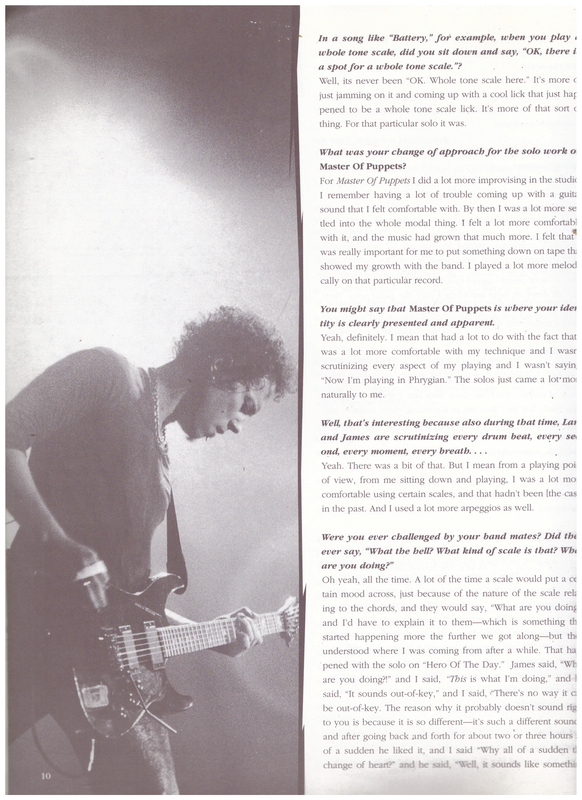 Perhaps the most fascinating aspect of Hammett’s work is the way he builds a solo in the context of a song. Wheter he has been composing a solo at home for months, or has simply let one loose right off the cuff in the studio, he always maintains an ideal sense of form. 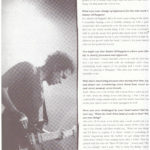 Hammett makes his solos part of the composition of the song; they always have a genuine musical function. 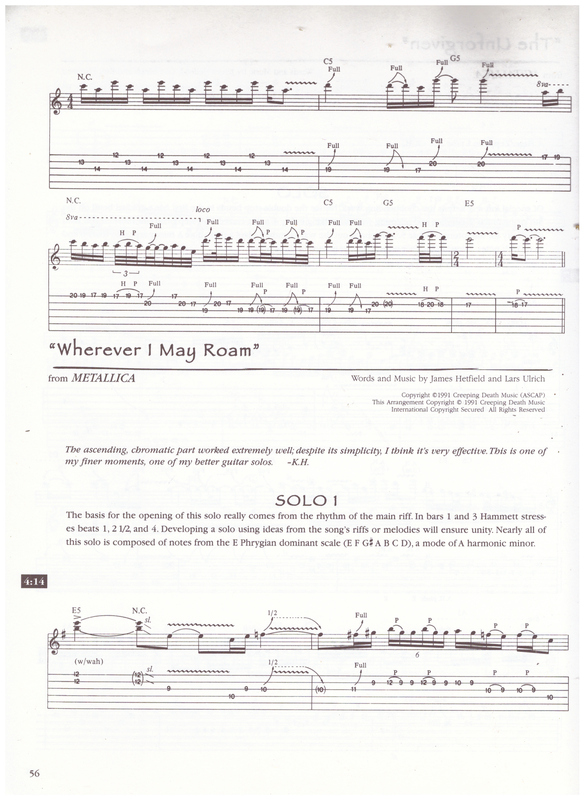 A great deal can be learned about the development of melodic, rythmic, textural and harmonic ideas by studying Hammett’s solos. When you learn the solos in this book, think about the overall effect they have, and why the work within the context of the songs. 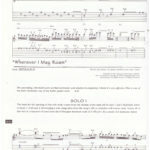 The performance notes included here will highlight the technical and theoretical aspects of the licks and solos, but you have to bring the written music to life, “out from behind the bars” on the written page. 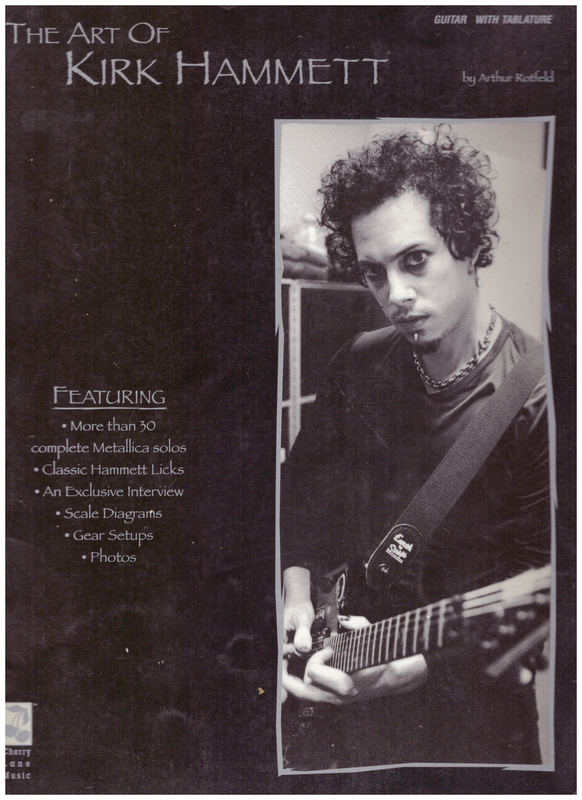 Through listening, practicing, and intense dedication, you’ll be able to assimilate the technical and emotional content of Hammett’s unique solos, and bring your soloing style to new, dramatic heights.